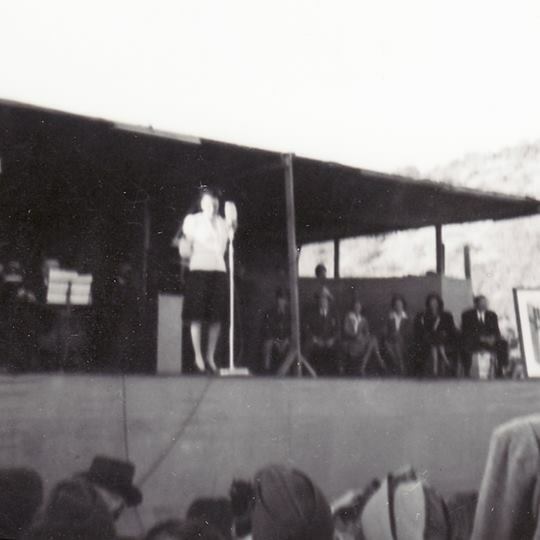 December 7, 1934: The final appearance by Judy and her sisters at their father’s theater in Lancaster, California. The sisters were billed as “The Gumm Sisters” even though they had been appearing under the name of “The Garland Sisters” for some time. 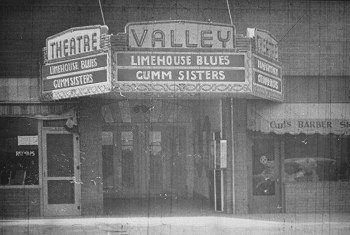 The photo here was allegedly taken on this date and is the only known photo of the theater with the sisters on the marquee. Critic W.E. 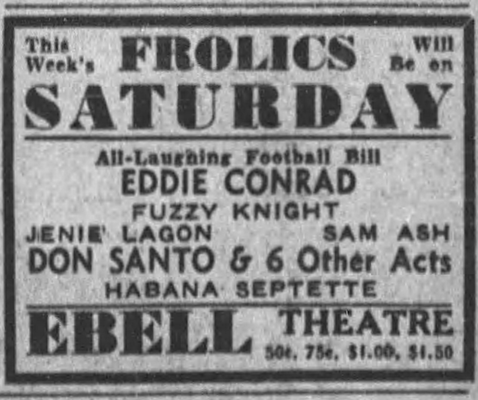 Oliver of the Los Angeles Evening Express noted: 12 Year Old Girl Is Sensation At Frolics” (Headline): “Little Frances … sang in a way that produced in the audience sensations that haven’t been equaled in years. 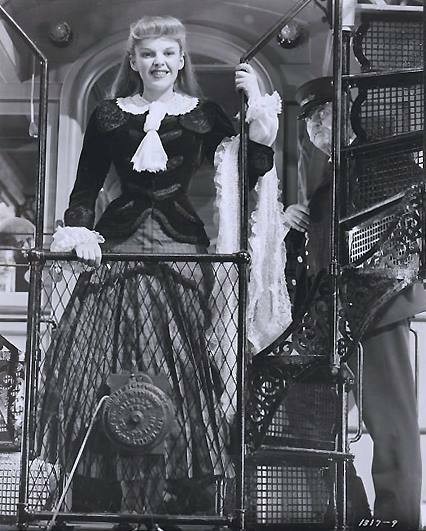 Not your smart, adult-aping prodigy is this girl, but a youngster who had the divine instinct to be herself on stage, along with a talent for singing, a trick of rocking the spectators with rhythms, and a capacity for putting emotion into her performance that suggests what Bernhardt must have been at her age. It isn’t the cloying, heavy sentiment her elders so often strive for, but simple, sincere feeling that reaches the heart. The three girls together are an act anyone would want to see. Frances alone is a sensation, and last Saturday’s audience realized it by the way they encored. Much of her individual style of singing was culled by the little girl from her parent’s old act, although she must have the divine spark to be able to sing as she did … she would make any show. December 7, 1935: This notice ran in various papers around the country. 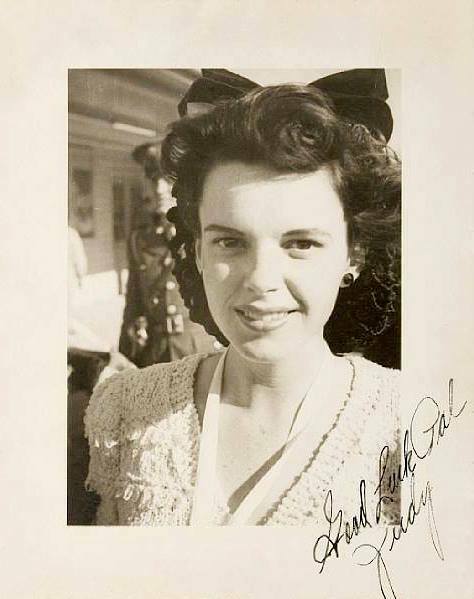 It claims that Judy was signed to her MGM contract as a result of her recent appearances on Shell Chateau radio show with Wallace Beery. The truth is that Judy was signed that previous September. December 7, 1935: La Fiesta de Santa Barbara was released. 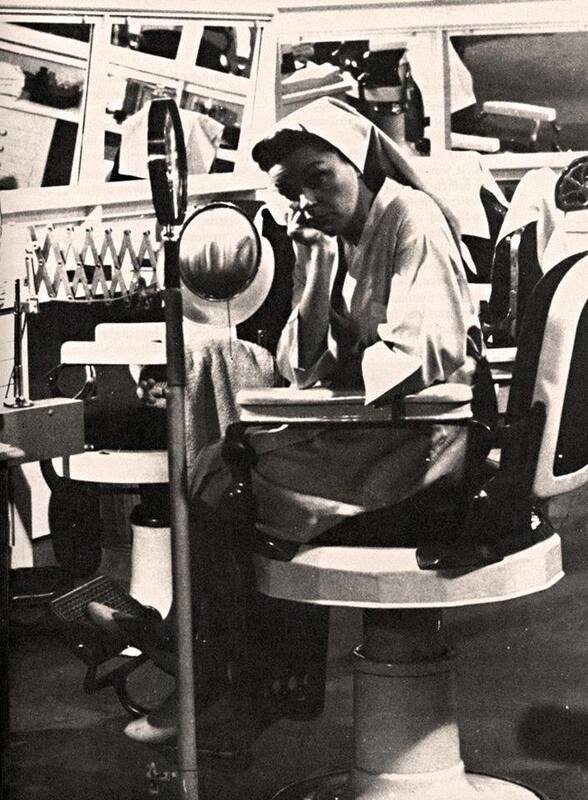 The short film was Judy’s first appearance on film since the shorts she and her sisters made in 1929/30. This turned out to be the last assignment for Judy and her sisters as a trio. 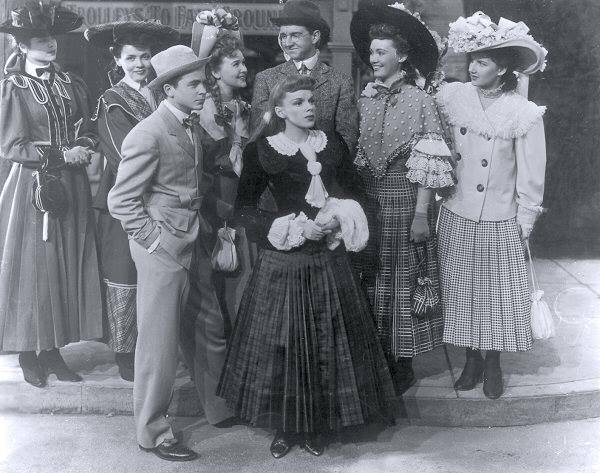 Filmed on location in Santa Barbara in August 1935, La Fiesta de Santa Barbara was released by MGM making it Judy’s first appearance in an MGM film (predating her signing with the studio a month later) and also her first appearance in Technicolor. Check out The Judy Room’s Filmography “Shorts” page for more information about all of the shorts Judy appeared in. 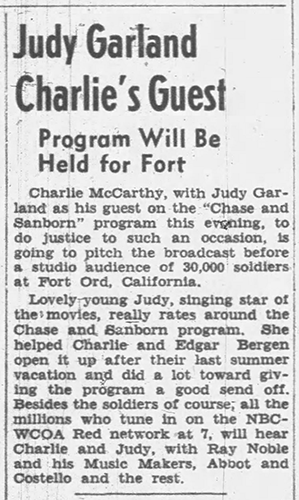 December 7, 1941: Judy appeared on “The Chase and Sanborn Hour” radio show broadcast out of Fort Ord near Monterey, CA by NBC Radio where she was entertaining the troops. 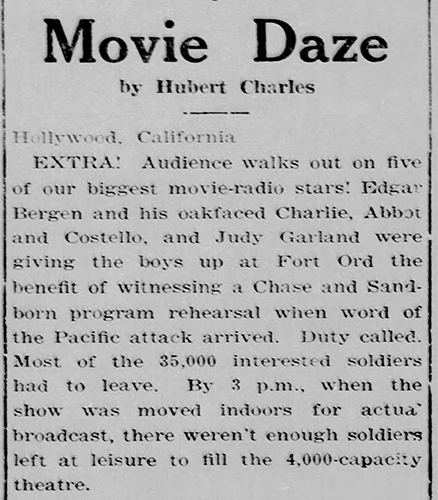 The show was interrupted several times by updates due to the attack on Pearl Harbor. Judy sang “Zing! Went The Strings Of My Heart” and performed with Edgar Bergen and Charlie McCarthy. Don’t crowd, men. Stay in line. You can’t all transfer to Company H at once. 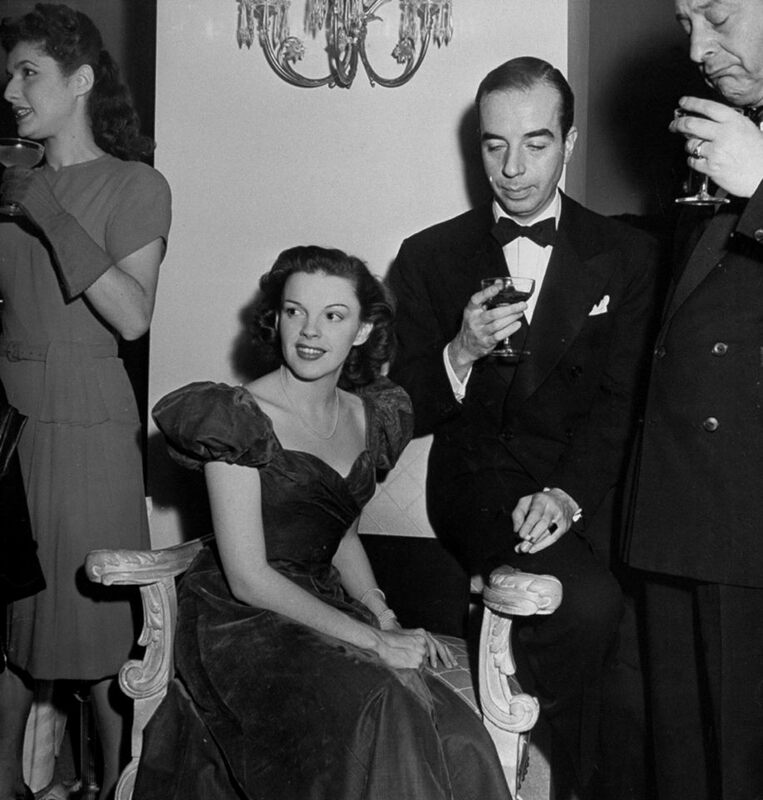 That’s the sentiment around here when news leaked out that Judy Garland, lovely star of radio and screen, was given an honorary corporalcy in Company H of the 1st Medical Regiment. 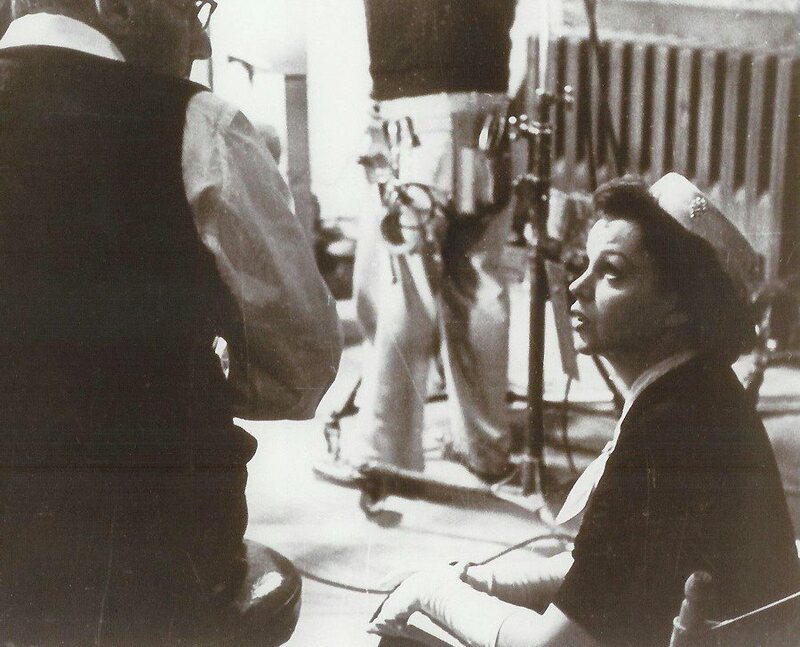 The minute Miss Garland came on the scene all eyes fastened on her. She was dressed in an attractive black and white outfit. Major Martin had Judy line up with a squad of men from Company H, and 1st Sergeant Marshall Hummel pinned corporal’s stripes on each sleeve of Miss Garland’s sweater. A corporal’s warrant was then presented while a pair of identification tags were placed around her neck. 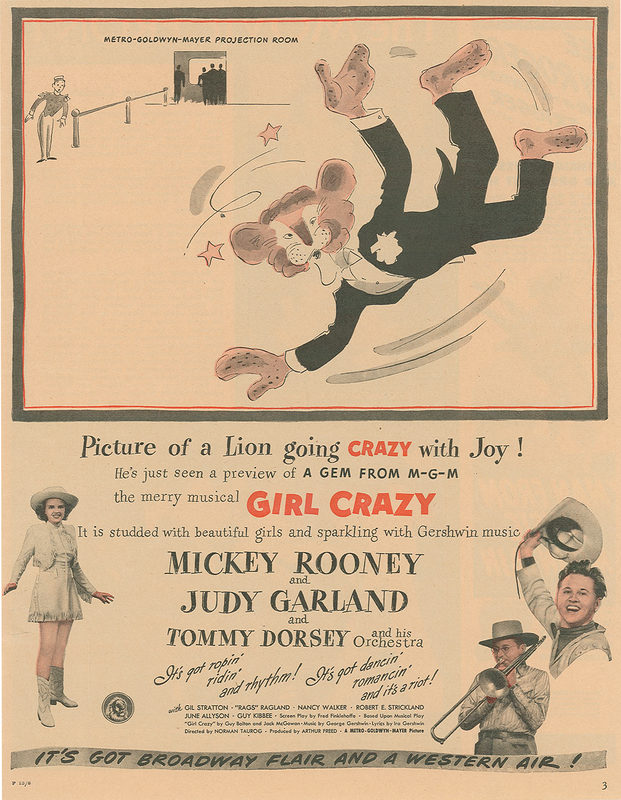 December 7, 1942: Judy had more rehearsals for Girl Crazy, most likely the “I Got Rhythm” number which was the first thing shot when filming began in early January 1943. 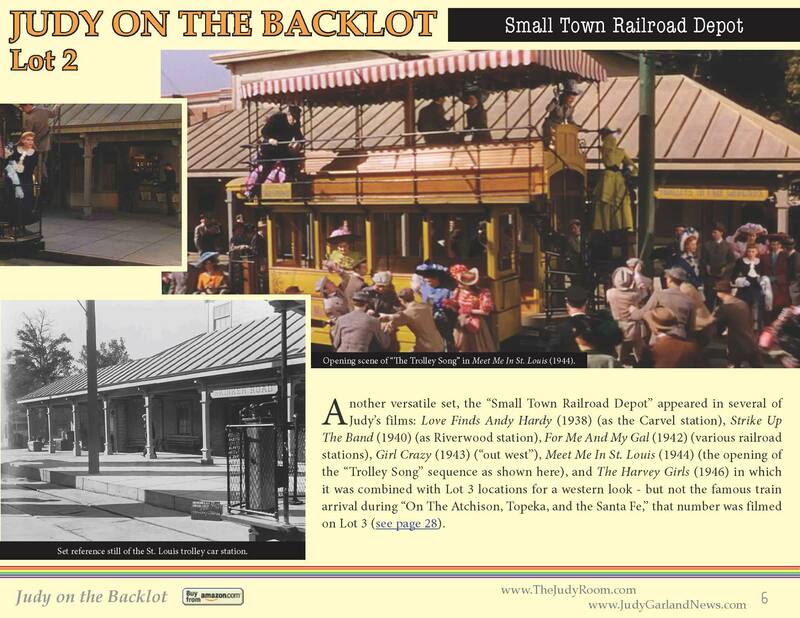 December 7, 1943: The first day of filming on Meet Me In St. Louis consisted of exterior trolley car scenes on MGM’s Backlot #2, the “train depot” set which was dressed up as, naturally, a trolley station. 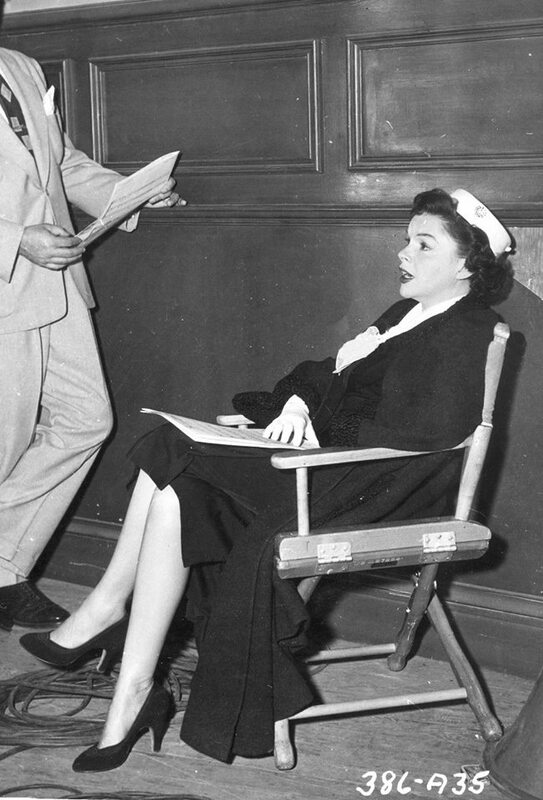 Time called: 10 a.m.; Judy arrived at 11:16 a.m.; dismissed: 4:30 p.m. More filming on the exterior set was completed the following day. This standing set on the backlot was featured in dozens of MGM films, including For Me And My Gal and Strike Up The Band (see pics). 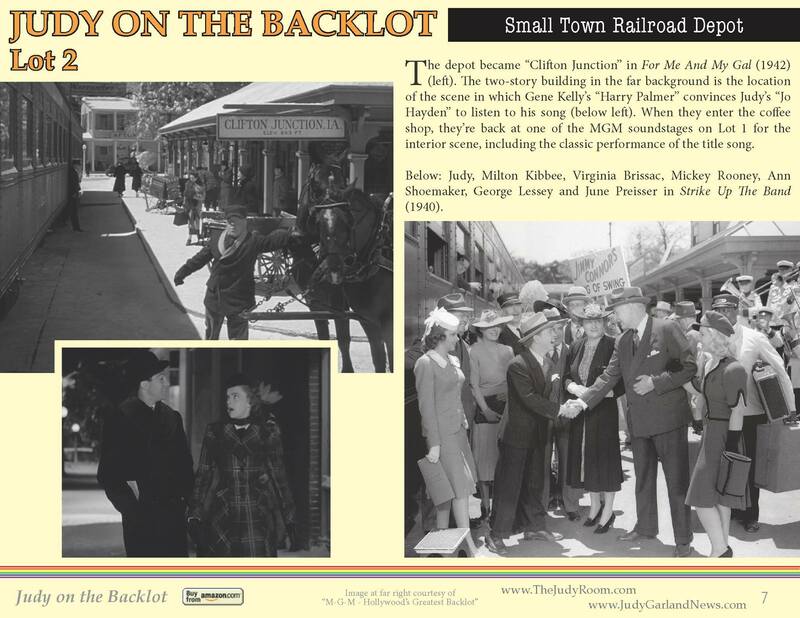 For more information and photos about where Judy’s movies were filmed on MGM’s fabulous backlot, download the entire “Judy on the Backlot” mini-magazine here (PDF). It was originally published in the “Garlands For Judy” webzine in December 2013. December 7, 1944: Judy and soon-to-be-husband Vincente Minnelli were in New York and attended the premiere of the Cole Porter Broadway show “Seven Lively Arts” at the Ziegfeld Theatre, which starred former “Cowardly Lion” Bert Lahr and Beatrice Lillie. This photo was taken at the post-premiere party, also at the Ziegfeld Theatre. Judy is wearing her “Have Yourself A Merry Little Christmas” gown from Meet Me In St. Louis. 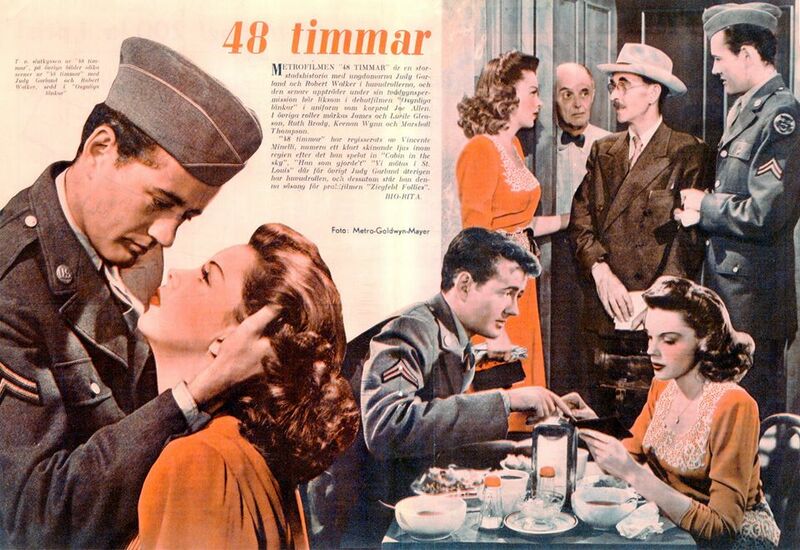 December 7, 1945: This wonderful two-page spread appeared in the Swedish “Allas Veckotidning” publication promoting The Clock. 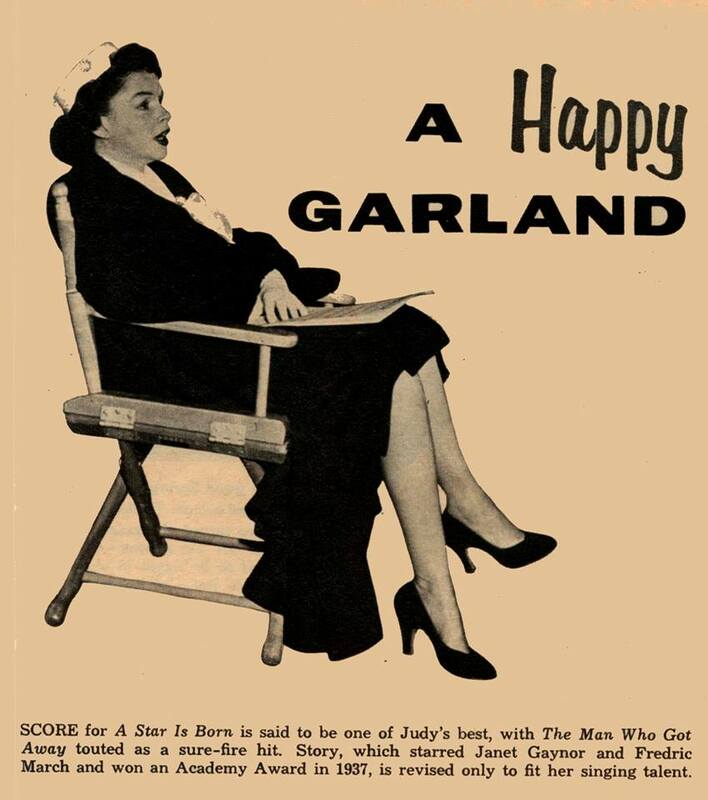 December 7, 1953: Judy pre-recorded “It’s A New World” for A Star Is Born from 11 a.m. – 1 p.m. 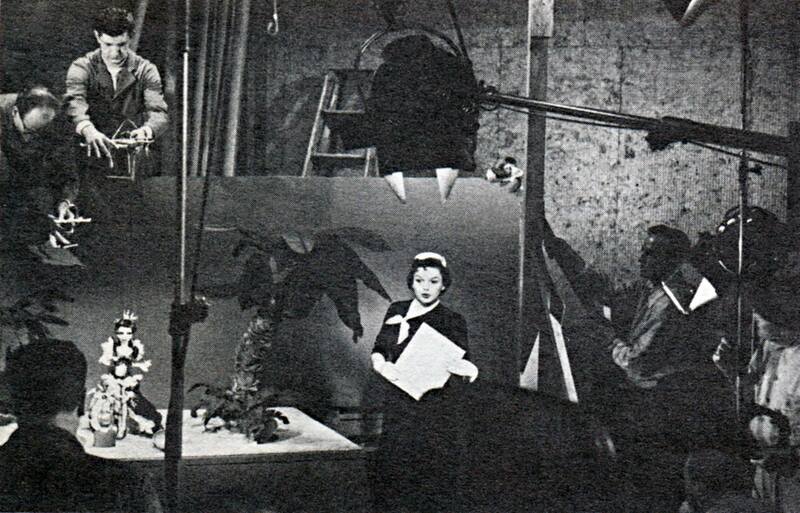 Afterward, she began filming scenes on the “Interior Makeup Dept.” and “Interior Television Commerical” (puppet show) sets. Filming was finished at 5 p.m. Some photos provided by Kim Lundgreen. Thank, Kim! 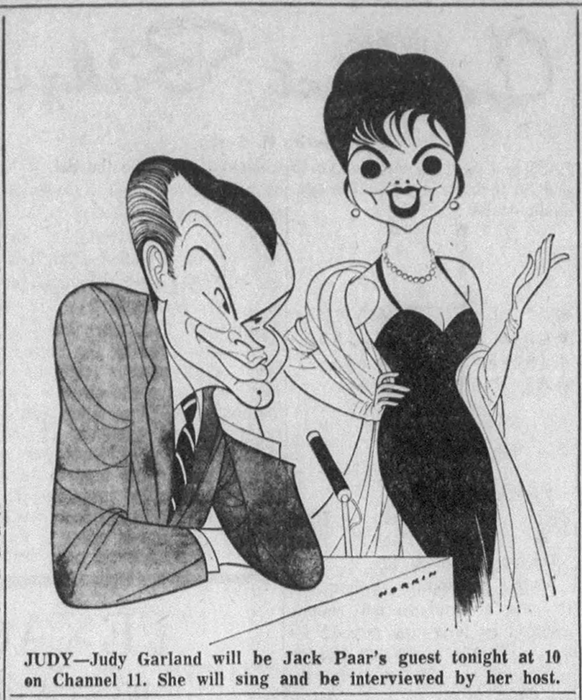 December 7, 1962: Judy’s appearance on the Jack Paar show, taped on December 2, 1962, at Rockefeller Center in New York City, aired on this night on the NBC Network. 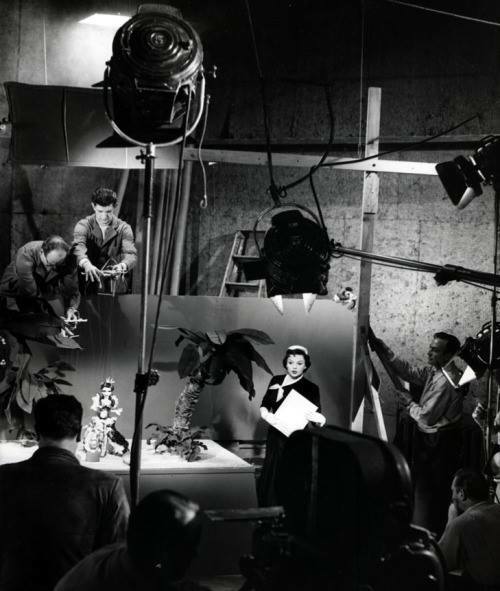 The show has become one of Judy’s most famous television appearances. Appearing with Judy was Robert Goulet, her co-star in the recently released animated musical Gay Purr-ee. Watch Judy sing “Little Drops Of Rain” and “Paris Is A Lonely Town” below. 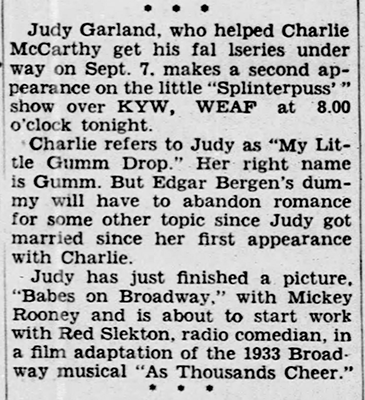 Unfortunately, I don’t have a good quality copy of all of Judy’s appearance (including her wonderful chat with Paar) but once I do, I’ll be sure to share it here. Thanks so much for posting the Paar clips. OMG she was something when she was happy, and Paar pushed all the right buttons with her. Hope they do somehow someway someday come out with a remastered video of the complete episode. It’s not too much to hope for! 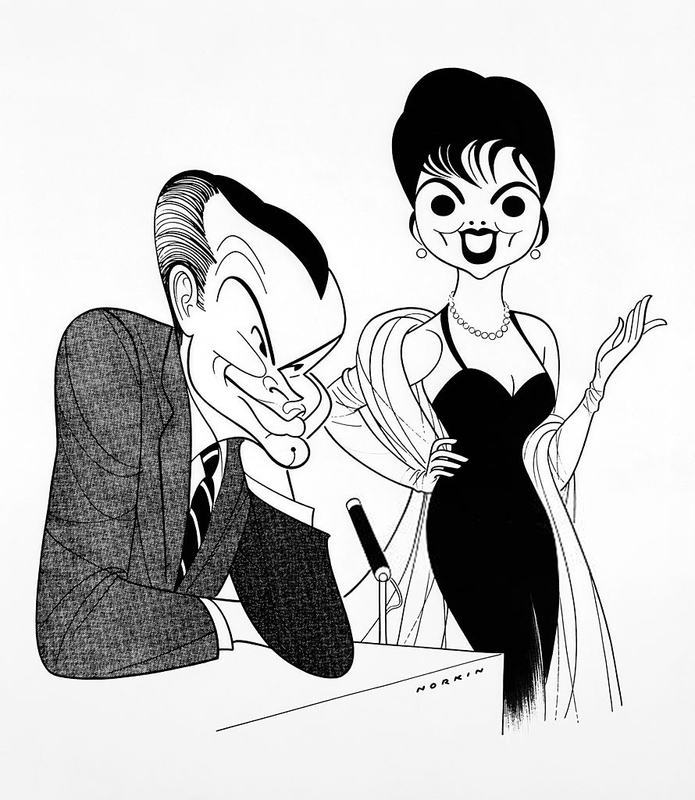 BTW the Paar/Judy caricature, reminiscent of Hirschfeld, leaves much to be desired. It looks mors like Suzanne Pleshette than Judy! I have a murky copy, but it’s so horrible by comparison. Here’s hoping I can find a good copy of the rest.